tonnes of seaborne goods in 2012, a 1% decrease compared to 2011.
decreases in goods freight transport by sea. Spain followed with 501, 477 and 422 million tonnes respectively. 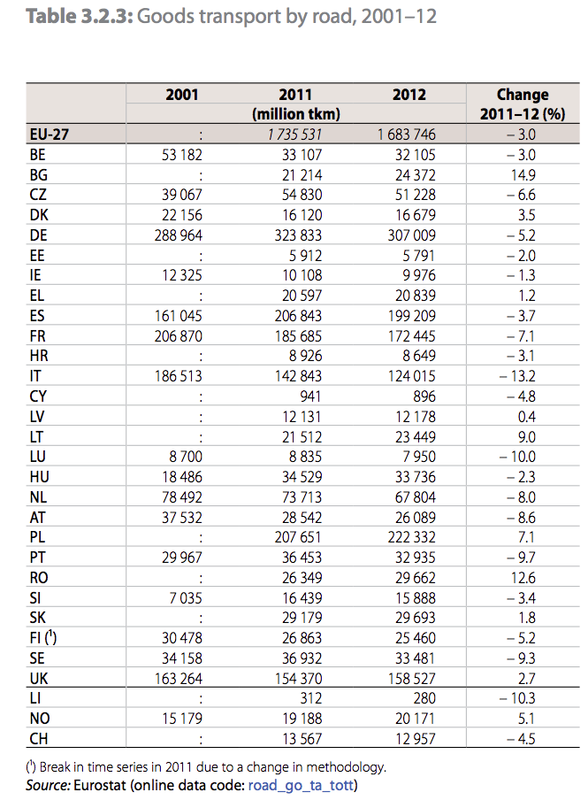 were carried throughairports of the EU-27 in 2012. 2.4 and France with 1.8 million tonnes. From the smaller EU Member States, air freight was relatively high in the Netherlands, Belgium and particularly Luxembourg, which ranked as the seventh largest air freight transporter among EU Member States. In the last eight years six EU Member States showed decreased freight transport by air, particularly Greece (–37%) and Cyprus (–26%). 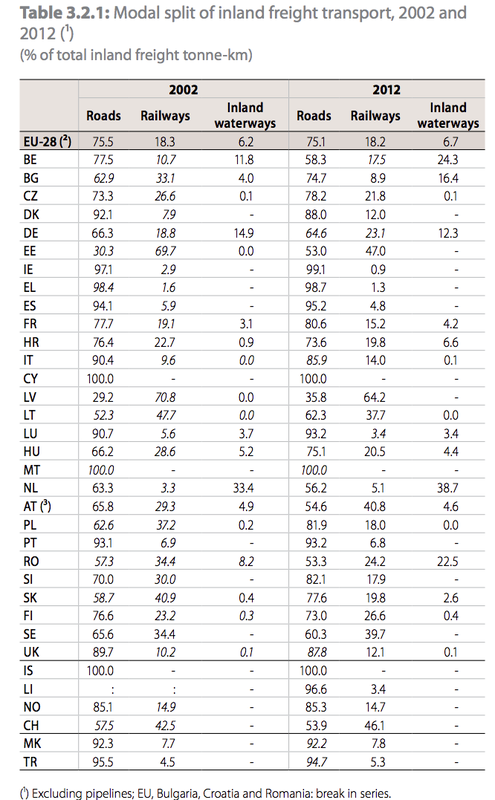 On the contrary, the increase in Estonia was almost fivefold, followed by Latvia (+278%) and Slovakia (+155%). Denmark reported a significant increase in freight transport (8 000 tonnes in 2004, 166 000 tonnes in 2012).